Group rates are available. Contact us for a group of 10 or more. 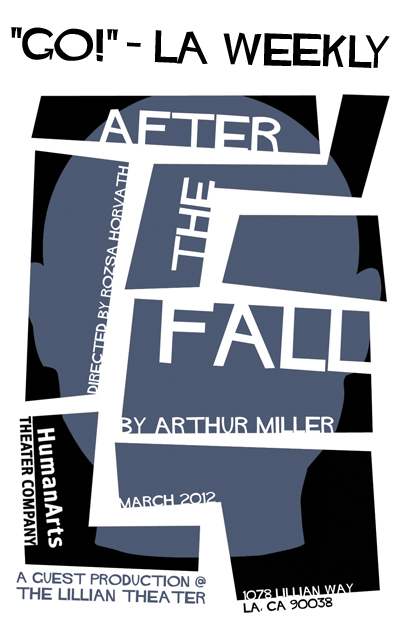 Based on Arthur Miller's life and considered one of his most personal plays, After the Fall is an experimental portrait of a man on a quest to make peace with his own history, struggling with the choices he has made in his public and private life while examining the personal, political and universal forces that collide when we "fall" from innocence. While the characters in the play are fictional, much of the story is based on Arthur Miller's tumultuous relationship with his second wife, Marilyn Monroe. Arthur Miller takes us on a fascinating journey through the inner psyche, exploring how each of us must learn to live, love and survive in our own way, "after the fall." In this production, to explore the inner workings of Quentin's mind, the players in his life will be interacting with him as live projections, demonstrating that memories are what we project on to ourselves. The theater is located on the corner of Santa Monica Blvd and Lillian Way near Vine Street in Hollywood.